AFR are experts in the field of commercial refrigeration, specialising within the retail and catering sector. 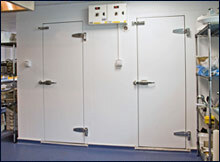 We have carried out numerous refrigeration installations from walk in cold rooms to cellar cooling systems. Our engineers are fully trained and qualified in all aspects of refrigerant handling, charging and disposal in accordance with current environmental legislation. 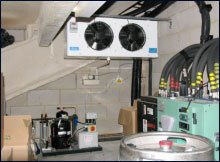 AFR can provide installation, service and maintenance for all types of commercial refrigeration on a nationwide scale.